Macular Degeneration (ARMD) is generally age-related. It gradually destroys the thin membrane (macula) at the back of the eye, resulting in loss of sharp, clear, straight ahead vision. This can make daily activities such as reading and driving very difficult, if not impossible. ARMD currently affects 2 million Americans over the age of 40, another 8 million are at serious risk and these numbers are increasing as Baby Boomers grow older. Other major factors, besides age, are smoking, obesity and a family history of macular degeneration. Women, non–Hispanic whites and people with cardiovascular problems, hypertension and far-sightedness (hyperopia) may also be at greater risk. Research shows a high fat diet increases the risk too. In the studies, people who ate meat more than once a week had a 35% higher incidence of ARMD, but those who ate fish four times a week had a lower risk. 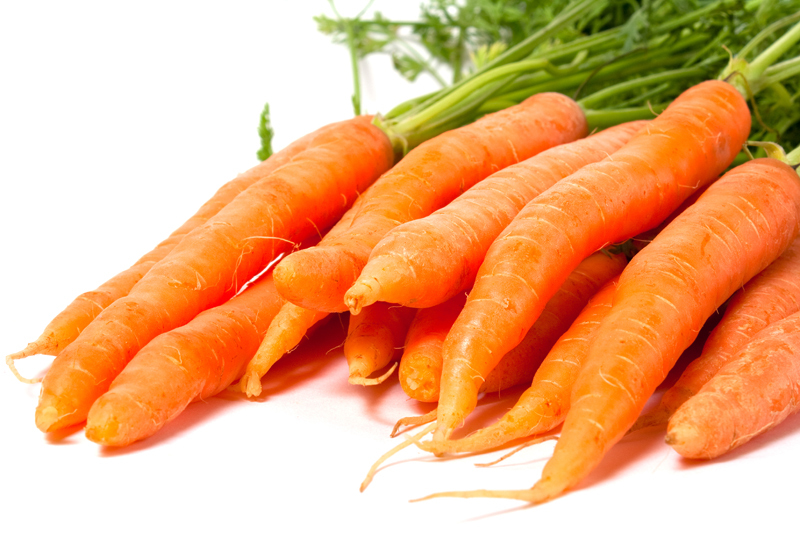 Carotenoid rich fruits and vegetables have been shown to greatly reduce macular degeneration. Carotenoids are naturally occurring antioxidant phytonutrients found in certain colorful produce, such as peaches, strawberries, broccoli and spinach. However, the most commonly eaten fruits and vegetables in the U.S - apples, bananas, French fries and iceberg lettuce - have very few carotenoids and next to no antioxidant value. Research shows that a full spectrum of carotenoids protect human cells from oxidative free-radical damage and high quality carotenoid supplements can slow down or even reverse macular degeneration. In a National Institutes of Health study, carotenoid supplements were shown to be very effective, so many experts advise it’s never too early or too late to begin fortifying your diet. However, it’s important to use an all natural, full spectrum, human food source carotenoid supplement. In nature, carotenoids are always found as part of a family, When they’re isolated, such as in lutein tablets, they’ve been found to be much less effective and can actually be detrimental. Megadoses of beta-carotene, for example, significantly inhibit your body’s ability to use other carotenoids. Carotenoids have also been proven to dramatically strengthen the immune system, help reduce the risk of heart disease and prevent oxidation of cellular fats – one of the main causes of cancer and other degenerative diseases. So for optimum health, start eating nine servings of colorful fruits and vegetables every day or make up the “carotenoid gap” with a high quality, whole food carotenoid supplement. The National Cancer Institute now recommends nine servings a day. So what’s the best way to buy fruits and veggies – fresh, frozen or canned? Carotenoid Complex - Is Hot or Not? Getting your recommended 5 to 9 fruits and vegetables a day? Here are the whys and wherefores. Momma said "Eat Your Vegetables"
You said, “Why?” and Momma said, “Because I said so.” End of discussion. Now that you’re grown up, would you like a more detailed answer?